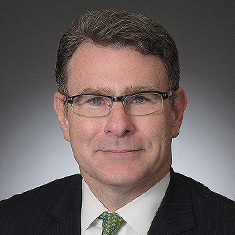 Michael S. McBride has many years of experience with commercial real estate finance, commercial real estate vehicles (real estate investment trusts (REITs) and private funds), real estate capital markets, distressed property, commercial real estate acquisitions and dispositions, commercial real estate leasing, structured finance, asset finance, infrastructure finance and public finance. He has practiced extensively in the origination, syndication, securitization, servicing and workout of a broad spectrum of large commercial real estate loans encompassing many asset classes (hospitality, retail, office, multifamily, for-sale condominium and land), loan types (construction, bridge and investment (cash flow) loans, 80/20 bond credit support facilities and corporate credit facilities (REIT term loans, revolving credit facilities and whole loan repurchase facilities)) and debt stack position (first mortgage loans, junior mortgage loans, multitiered mezzanine loans and subordinated loan tranches) involving nationally and internationally known developers, investors and assets. He also has considerable experience with the regulatory framework applicable to commercial real estate vehicles (private funds and REITs) and commercial real estate lending. Michael was previously general counsel in the legal group serving a leading commercial real estate credit private fund manager/asset manager group with several billion dollars of assets under management. Prior to that, he was US general counsel of a major German-based commercial real estate and public finance specialist bank group, with a multibillion-dollar US commercial real estate loan origination, syndication and securitization platform that included a NYSE-listed mortgage REIT. Michael began his career in the real estate group of a leading New York-based international law firm.